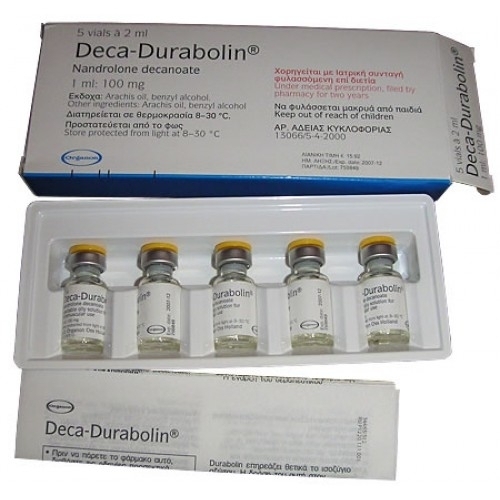 Nandrolone Decanoate - one of the most effective anabolic steroids last decades, has a pronounced anabolic activity and a relatively low frequency of adverse reactions. Nandrolone (its chemical name 19-nortestosterone) is always present in small amounts in the blood, as a natural component. 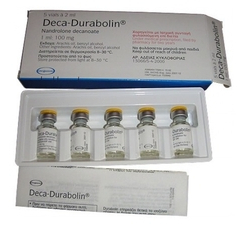 The drug Nandrolona D - the so-called "slow-acting steroid": its anabolic effect unfolds gradually. When receiving Deck observed not sharp, but very high-quality muscle gain, so the course is longer than decanoate compared with the rates of other anabolic steroids. By following all the recommendations for a course of an athlete can score up to 7-8 kg of muscle mass. An additional advantage is the minimal Deck phenomenon rollback after the course.